Disclosure: I received a copy of these games for inclusion in the Holiday Gift Guide. I only accept items I would buy. 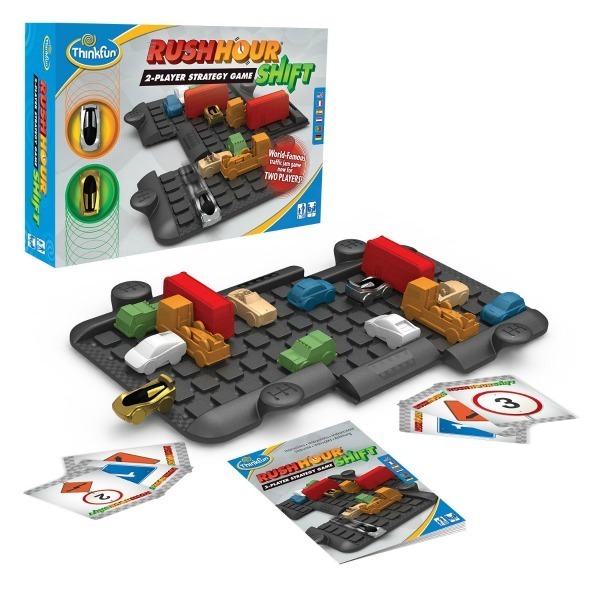 Rush Hour Shift is a new version of the popular Rush Hour logic game created by Think Fun. 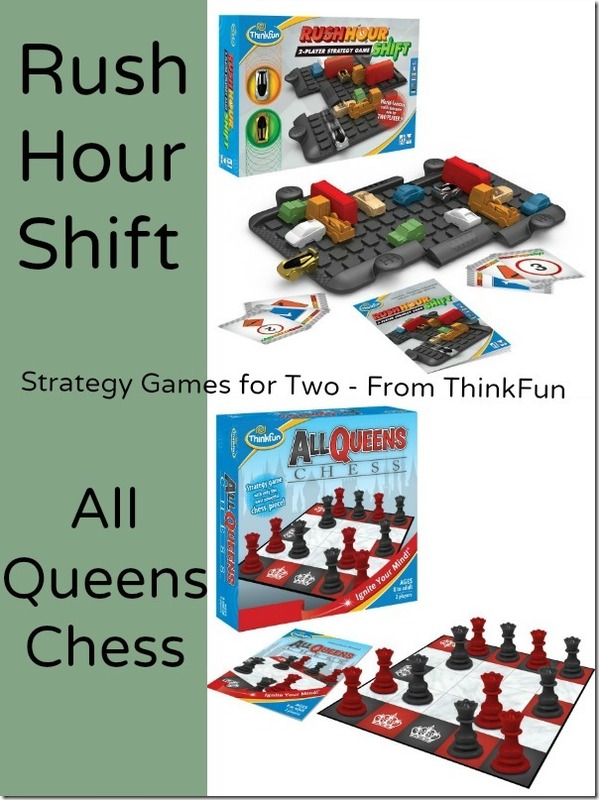 In this 2-player Strategy game for ages 8+, players arrange a grid as directed and then draw cards which change the layout of the game both via the vehicles and the board itself. Each player is trying to get their HERO vehicle all the way across the board before the other player. When it’s your turn you can choose from your cards which may allow you to move your HERO car or block your opponent. This is where the strategy comes in, you have to decide what your best move is. The first person to get their HERO card completely off the opposite end of the grid is the winner! 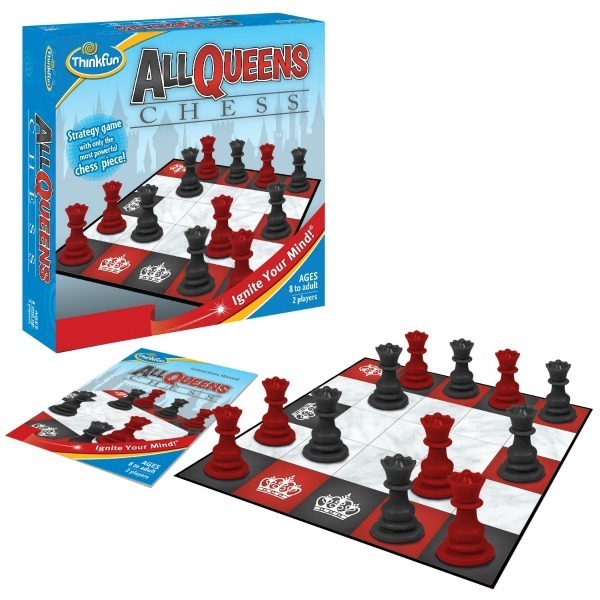 All Queens Chess is another strategy game as a regular game of chess is but it’s much different two. Like regular chess this is a two player game. Unlike regular chess, you only have Queens, nothing else. The Queen can still move in all directions but pieces can’t be captured. You are trying to get all your Queens in a row. One player has 6 red Queens while another player has 6 Black Queens. After setting up the board by putting Queens on a square with their own colour, players take turns deciding which queen they will move, which direction they will move it and how far they will move it. First players to get 4 Queens in a straight line in any directions WINS! Mom of five, Girl Guide leader, Blogger, Social Media Enthusiast, Knowledge Seeker, Canadian. Hey There! I’m Kathleen Bailey (Garber) and I’m your host here on Callista’s Ramblings. I blog about Family, Entertainment, Pets, Home, Health and Canadian Life and include product reviews or brand sponsored content from time to time. My ABOUT PAGE will tell you more about who I am and show you some popular posts in each of those blog topics if you aren’t sure where to start. Love It? Vote For It! Callista's Ramblings by Kathleen is licensed under a Creative Commons Attribution-NoDerivs 3.0 Unported License.